As a previous editor of La Raza Publications which included La Raza Newspaper and Magazine plus Chicano Student Newspaper, Raul Ruiz and I met this morning and cleared our misunderstanding of facts. We are in accord and stand united as La Raza and El Barrio Communication Project Staff. The photographers mentioned in the prior letter also are in accord and will soon meet with me to claim ownership of their negatives. We hope that this valuable history of our movement will soon be accessible to educators, researchers, and the community. Long-simmering tensions boiled over last week between a who’s who of movimiento photojournalists seeking access to historic photographic negatives. 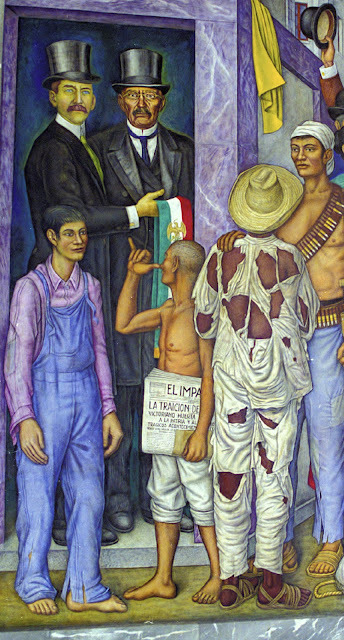 When LatinoLA published Luis C. Garza's Open Letter pointed at Raúl Ruiz, settlement quickly ensued. The pedo arises from Ruiz’ apparent refusal to return to the photographers negatives of fotos published in La Raza newspaper and magazine. La Raza stands as paper of record for the chicano movement. It published in Los Angeles from 1967 until it folded in the early 1980s, with Ruiz its closing editor. Pitted against Ruiz are a dozen contributing photographers--former staffers--who want their images back. The collective of aggrieved photogs includes such notables as USC J-school profe Felix Gutiérrez, media magnate Moctezuma Esparza, and celebrated photographer Oscar Castillo. Such negatives are cultural treasures. Through their prints today’s readers can witness only once removed the only extant participant observer images of pivotal moments in U.S. history. It was the incarnation of a political awakening that has grown into today’s electoral landslide for Obama. This is important material. Negatives hold not only an image of a moment but also, to the photographer, something of personal importance. Given access to one’s old negatives opens those images to modern tools and materials, permit one to re-imagine an expression for today. There is no way to express the personal pain from loss of one’s youthful work, nor measure the regret for what might be done to make new prints using today’s abilities. Abelardo alludes to something similar, one thousand masterpieces hanging only from his mind. In many ways, this negative pedo stands in sad epitaph for the chicano movement pictured in those negatives. La Raza newspaper and magazine, according to the artists, represented a collective effort of grass roots gente enfrentando the establishment for la gente. Back then compañeras compañeros didn’t sign waivers and declare their rights, and all that establishment crap. It was la causa, and their burgeoning skills and a la brava energy got the work produced. Now matured and seasoned, some may have strayed from that idealism, vencido, perhaps. Ruiz enjoys a solid reputation as a scholar and has the lasting gratitude of history for being in the right place at the right time with his lens when that Sheriff Deputy fired his tear-gas gun into the Silver Dollar. Ruiz' lens told the truth, so it must hurt to be seen as a sin vergüenza, or worse, over these missing negatives. I do not know Ruiz' motive. The foregoing summarizes the feelings of twelve photographers named in Luis C. Garza’s “Open Letter to all concerned,” published November 10 at the popular LatinoLA. I include the full text, below. Ruiz did not reply to La Bloga’s inquiry via email, so I can draw no firm conclusions but like any pedo, it stinks. See the Update at the top of this column. Ruiz' actions Monday now put the pedo in the past. It's good to see matters righted and the negatives headed home. La Bloga will update the conclusion of the agreement. We write to inform you of an extraordinary community resource of photo archives containing thousands of photographic negatives and related document materials, which cover the Chicano movement and community from the late l960s through the l970s. Yet this invaluable archive is unavailable to either the photographers who created these materials and hold legal copyright, or to the large number of scholars, community organizations, filmmakers and others who have attempted to access this resource over the past forty years. Why? Raul Ruiz, a Chicano Studies Professor at Cal State Northridge, and also at Santa Monica Community College, took physical possession of these archives as a co-editor of La Raza magazine, when former editors Eliezer Risco, and then Joe Razo passed the responsibility on to his safekeeping in 1971, for temporary custody (not ownership). Since the demise of the magazine, in early 1980s, he has refused all requests to return the negatives to the photographers who created them or to make these materials available to these photographers, researchers or the community. We are writing to alert you to the theft of this Intellectual Property, explain the development of this problem, and to make clear our commitment to have the negatives returned to the photographers who hold the legal rights, and to finally make this resource available to the broader community through a university archive. Under the auspices of the publications, Chicano Student Movement and La Raza magazine (newspaper and then magazine), an archive of photographs and written materials were compiled between 1967 and mid-1970s. This work reflects the efforts of magazine staff members and primarily that of twelve photographers who documented the civil rights struggle of the Chicano movement in the city of Los Angeles, Southern California, and the southwest United States. Our collective work is contained in this LA RAZA archive and is likely the largest collection of photographic documentation produced of the Chicano urban movement in the United States. These publications and the related photographic archive were started as a grass roots community endeavor and not for the enhancement of a single individual’s career. Raul Ruiz’ appropriation of this material is a tremendous disappointment to all of us who know him, and certainly does not live up to the ideals within the Chicano Movement that we fought for. We did not struggle to replace an oppressive and inequitable system with another one controlled by a brown face. Raul’s actions are incongruous with, and contradictory to what he is supposed to stand for as a Chicano Studies Professor and have significantly damaged the cause of the Chicano Movement and the communities that it serves. • Generate community support to pressure for the negatives’ release to their rightful owners via a Los Angeles University archive, where materials will be available for public access. • Work through all legal means to obtain rightful possession of the negatives. 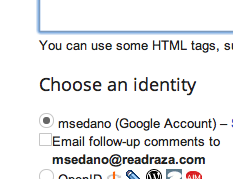 Google's blogger software--that's what makes La Bloga look like this--makes adding your views on issues like artist intellectual property and ownership somewhat easy. 1. Scroll to the bottom of this post, below the biographies of On-Line Floricanto poets. If someone's already begun a conversation, the space resembles the image below. Click the pencil. To email the column, click the envelope. 3. Click on "Post a Comment". 4. Stay in touch. When you're at the Comment screen, click the "Email follow-up comments to" box. 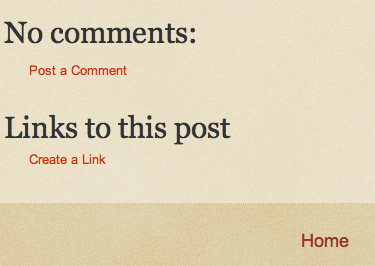 La Bloga notifies you when someone's left a follow-up comment. I arrived on the USC campus for grad school in 1972, with some trepidation. I figured I'd once again be the only Chicano in sight. Wrong. 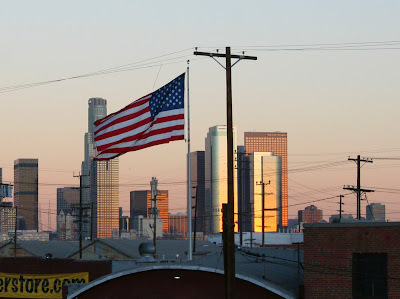 Living in LA since exiting the Army in 1970, I elected to exit the world of work into full time grad school. The GI Bill covered tuition and fees--twelve units at $75 a hit. That first year of grad school coincided with the first year of El Centro Chicano. Frank Sifuentes QEPD engaged recruiters who brought 110 raza students to USC. That such an organization would exist countermanded the popular stereotype of USC’s insular exclusivity. Over the next couple years I would photograph centro activities, usually on Daily Trojan assignment. I especially looked forward to the frequent tardeadas, which meant free food and the laughter of the serving line. I recently learned that, being I was an older vato--and one who always had a camera pointed at them--the youngsters thought me a narc. That explains why the women wouldn't let me help in the kitchen, I guess. December 1, 2012 marks an opportunity for that group of 110 suspicious kids to return for the 40th Anniversary of El Centro’s existence. Not only that crew but all USC alumni looking to recognize and celebrate forty years of centro history at USC, and help raise money to promote another 40. The original centro occupied the most prominent spot on campus, a storefront space where Hoover Street ended at the gate to campus. Everyone walking onto the University of Southern California campus from nearby student housing passed el centro’s parking lot mural and the wraparound mural crowning the façade. Led by Sy Abrego, that group of students breathed new energy into campus life. On Cinco de Mayo, MEChA held festivities in the student center patio as well as the lawn of el centro. President John Hubbard came for a formal update and left more convinced than ever to support el centro. Thost years, at the emcee mic of most centro public events was locutor and student Marco Antonio Dominguez. 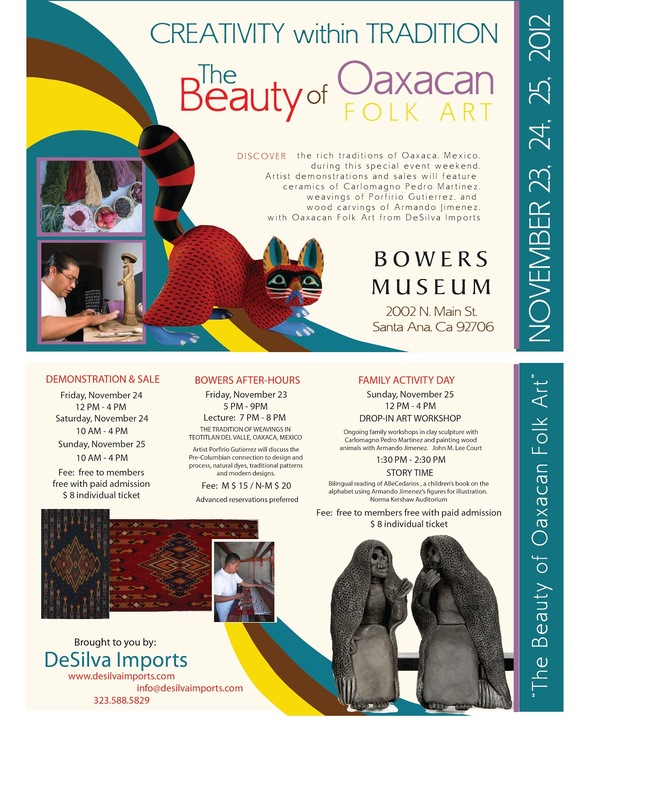 Dominguez would read his poetry at chicano literature's first floricanto in 1973, then return in 2010 for the reunion floricanto, when Marco Antonio shares the stage with his poet son. That centro structure was razed years ago, the site today uncommemorated, buried under lovely landscaping and a parking lot. Today’s centro occupies a beautiful penthouse suite in the nearby architectural gem of the campus church. 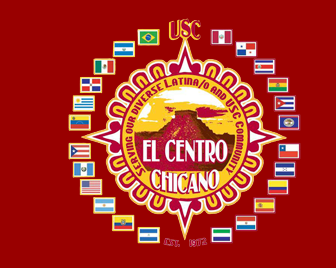 For 40 years, we’ve been providing invaluable services and programs to USC Latino students and we’re excited to announce that we will be having a 40th Anniversary Gala on Saturday December 1st, 2012 from 6:00pm to 9:00pm at Town and Gown. The books are still banned in Arizona, but the Special Master has opened the policies--but not the hearts and minds--of the Tucson Unified School District. The original 1974 desegregation order led to implementing the successful raza studies core curriculum. Then the court took the district's word that it had straightened up and was flying right. Federal oversight lifted, the district dismantled the raza studies program and banned their materials from classrooms. Bureaucrats and teachers pulled the titles from classroom shelves while children looked on in stunned silence. "I thought she was our friend," one student sadly related. The current court orders admitted the foolishness of trusting these tipos, and returned community sensibilities to TUSD's core. The court goes a step further, demanding the program's expansion to the K-12 gamut. In the long-awaited report, the Federal Court's Special Master reinstates a core curriculum that restores openness and cultural appropriateness to the curriculum. The story is not burning up the presses, so in addition to the order reproduced by Tucson Sentinel, check out Three Sonorans, whose ongoing reporting has kept the news alive over the long slog to today's status quo ante snafu. Ironically, per Three Sonorans, fighting the progressive court order are prominent members of Arizona's Democratic Party establishment. Instead of tearing up the banned books list, these people are fighting for the right to ban books. The voters gave Obama four more years to cure Unitedstates ills like Arizona disease. After Obama brings the troops home--next week would be fine--he needs to clean up the mess in Arizona. Click image for a larger size, or visit the Bowers website for details of what looks to be a holiday gift bonanza so early in the shopping season. como la de mi abuela. el paladar de mis antepasados. como la tortilla de maíz y nopal. de donde nace el mañana. con azadones arreando nuestro destino. del sudor de una mano humedecida. las líneas esclavas del bufón de vista corta. al exilio de los poetas. de verde a esta nuestra tierra natal. si tu horquilla del diablo asoma su rostro feo. y los ponemos a bailar por las calles, eternamente. to the palate of my ancestors. like the corn and cactus tortilla. with hoes spurring our destiny. from the sweat of a moist hand. the enslaved lines of the nearsighted fool. to the exile of poets. if your devil’s pitchfork shows its ugly head. and make them dance through the streets, eternally. unadorned by donkey tails and elephant tusks. a gift to those who stayed behind. We are citizens both here and there. our borders drawn by Poseidón. Tara Evonne Trudell has resumed writing poetry after a break of almost ten years and is passionate about combining poetry and film to create a visual art form of her own. She is a mother of four children and raising them to be socially aware and conscious of the injustices that plague our society. This is a top priority of hers as a she rediscovers her own word in a world that only attempts to silence the Indigenous spirit. 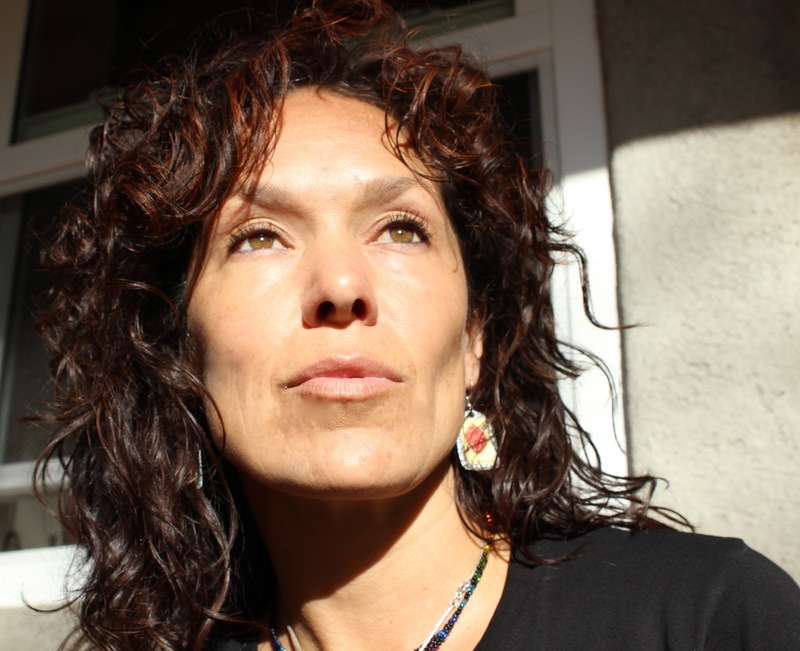 Sonia Gutiérrez, a promoter of social justice and human dignity, first contributed her poems to Poets Responding to SB 1070 in 2010. 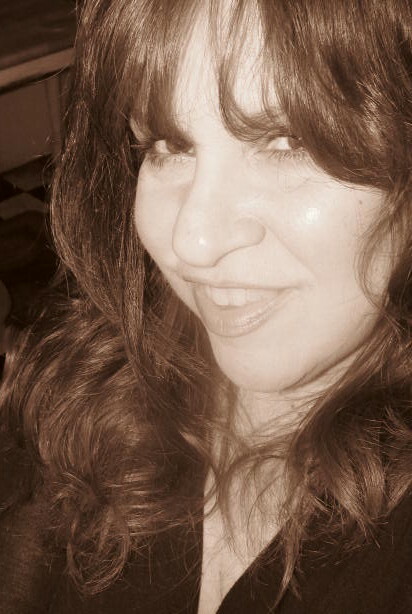 Sonia teaches English at Palomar College, where she advises the Palomar Poets. 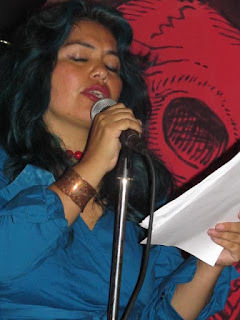 Her poetry and vignettes have appeared in the San Diego Poetry Annual, contratiempo, CRATE, Mujeres de Maiz, City Works Journal and La Jornada Semanal de México. Sonia’s poem, “La Maza y cantera de una poeta”/“A Poet’s Mallet and Quarry,” was selected “10 Best Poems of 2011” by La Bloga. Sonia’s bilingual poetry collection, Spider Woman/La Mujer Araña, is forthcoming; she’s at work on her novel, Kissing Dreams from a Distance, among other projects. poetry, original screenplays and adaptations, and is currently finishing two novels. She is a regular contributor to Poets responding to SB 1070. 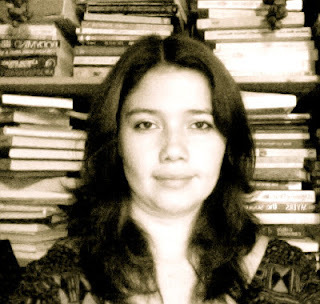 Her poems have been chosen for publication on La Bloga’s Tuesday Floricanto numerous times. She is also a moderator of Diving Deeper, an online workshop for writers, and has written extensively about music, especially jazz, while working in the entertainment industry. Her production company, Dancing Horse Media Group, is currently in pre-production of her independent film, “Beautiful Dreamer,” based on her original screenplay and manuscript, and along with her partners, is producing a unique cookbook that blends healthful recipes with poetry and prose from the community. 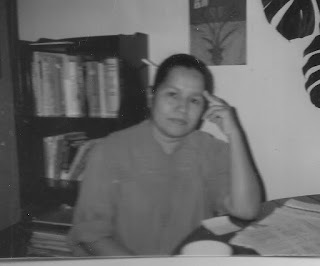 I especially love Esmeralda Bernal's poem, "Rosita." Thank you for bringing it to us!